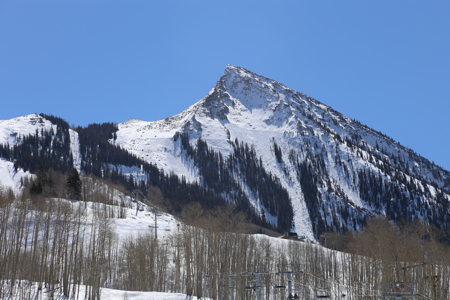 This mountain is the highest point in the ski area called Crested Butte. 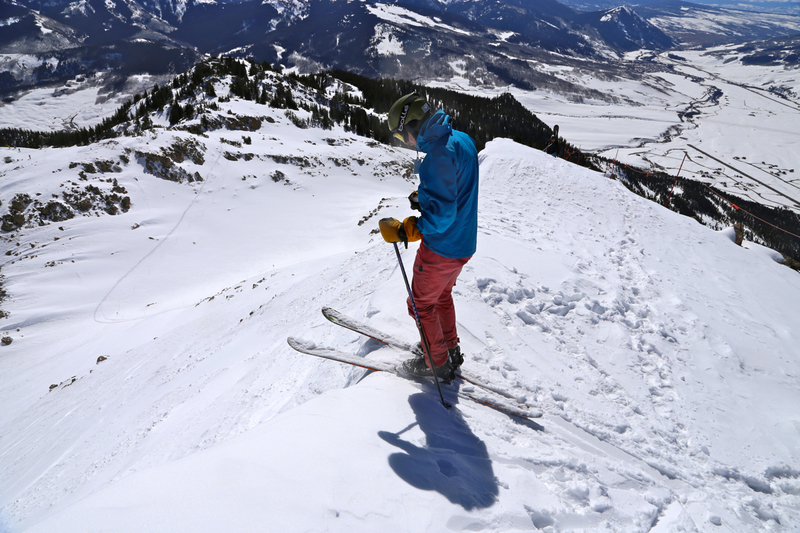 It is an easy ascent, particularly if one makes use of the skilifts. 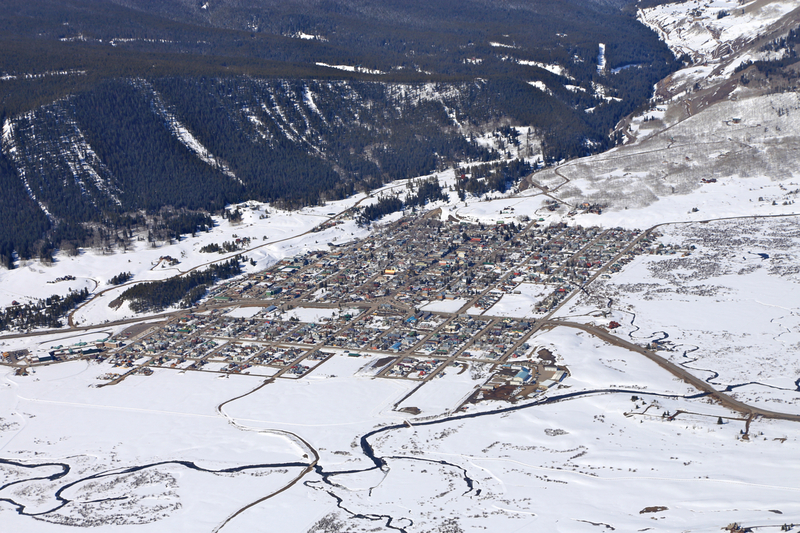 Crested Butte is located about 30 miles north of Gunnison. 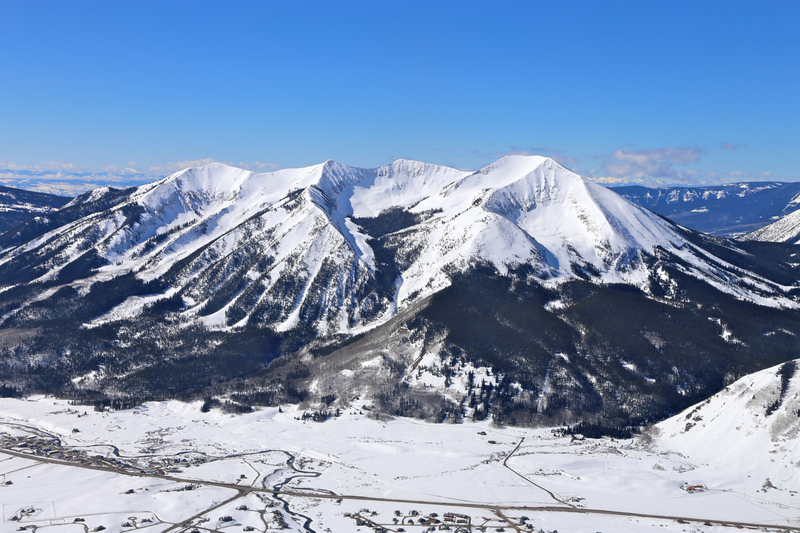 The ski area itself is about 2 miles past the town of Crested Butte. There is a large parking area in the middle of the ski village, winter parking is 10 dollars for a day. 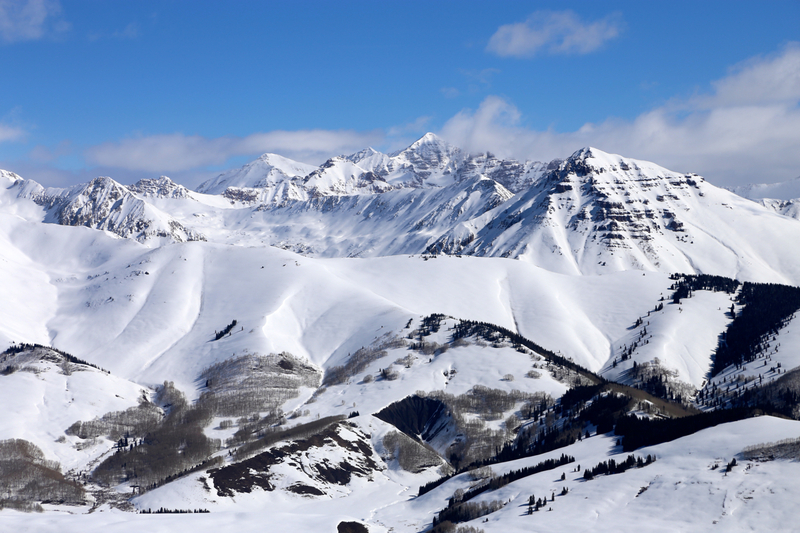 In winter, te easiest route is by ski-lift. 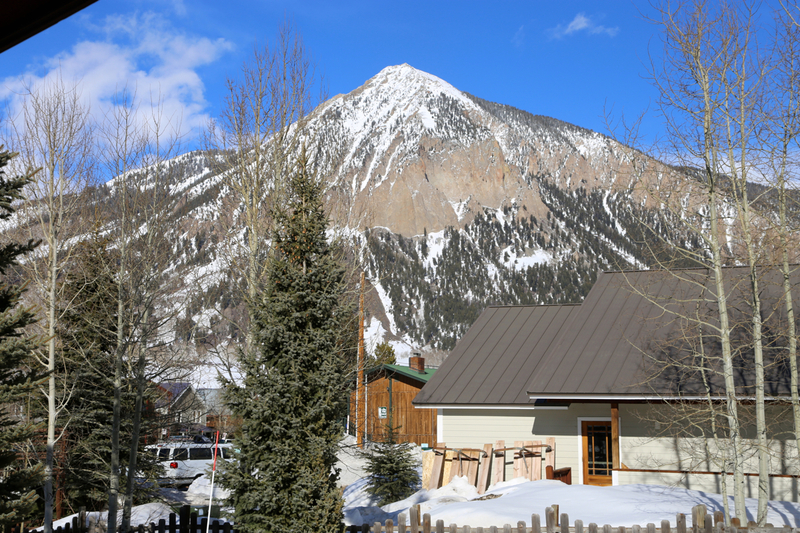 As you exit from the ticket office, bear right and you will see two chairlifts that serve the base area. take the rightmost of these. This is a long lift that gains a lot of elevation. 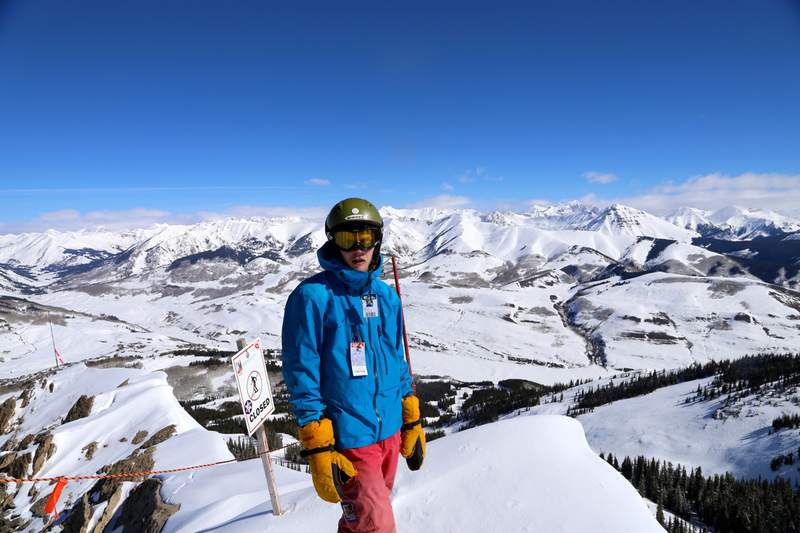 From the top of this lift, ski a bit downhill keeping as far right as you can. 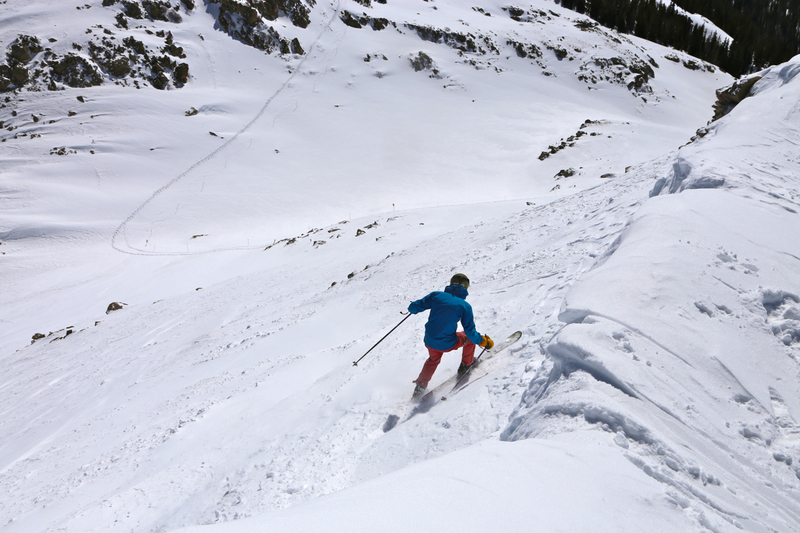 This will get you to the lower station of a T-bar lift. Take this to its end station. You have a small hill between you and the mountain. When facing Crested Butte, ski left and contour around this small hill in order to reach a col. From here, contour left to reach the lower end of the south ridge. 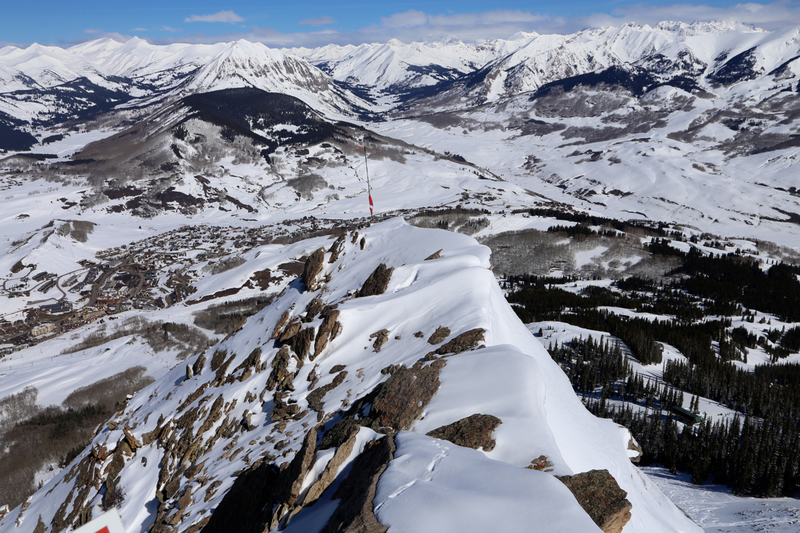 Hike up this ridge to the summit. If conditions are favorable, on may ski from very near the summit and directly down the face that ends back down near the col.
We arrived here the evening before and checked in at Cristiana Guesthaus, a very nice and cozy place - highly recommended. 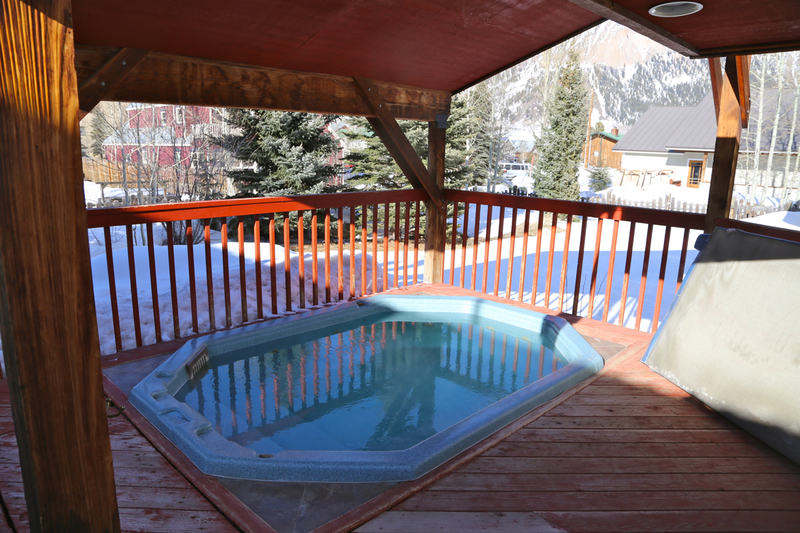 As almost all such ski-area places, an outdoor hot tub with a nice view of the local peak. The place also had a good sauna, Scandinavian style - approved! We took the two lifts, then skied around to the col. Pål carried his telemark skis to the summit while I left my skis below. The ascent was easy and straightforward. 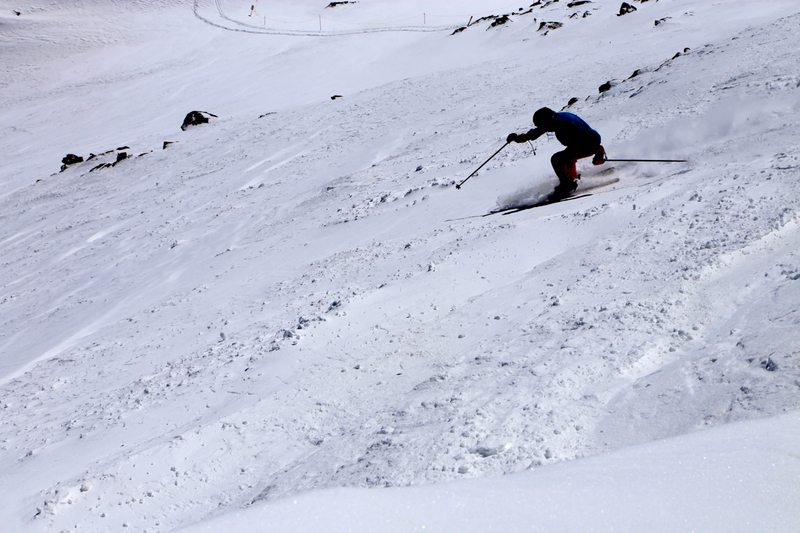 Pål went on to ski off the top cornice and make his way down as the first skier of the day. The slope is steep and some care was needed due to rocks further down. I enjoyed the good view, a birds view of the town, as well as good views across to nearby mountains. 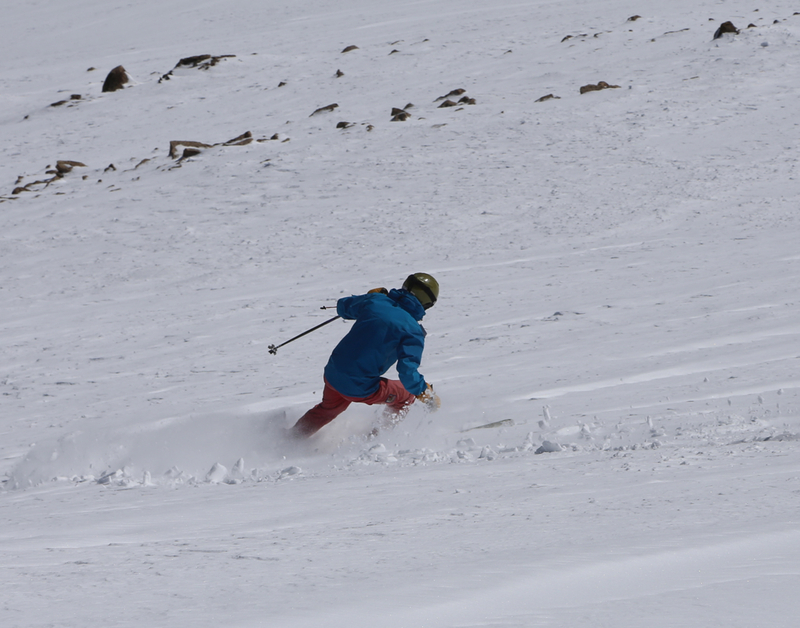 We had skied to the summit of Whetstone mountain yesterday, a very nice wilderness ski.